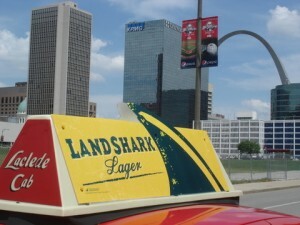 Laclede Cab offers taxi-top and rear window advertising that can expose your message to every corner of St. Louis City, County and the Airport. Quantity and duration are negotiable. For more information, contact Adam McNutt at (314) 535-1162 or download the Brochure.